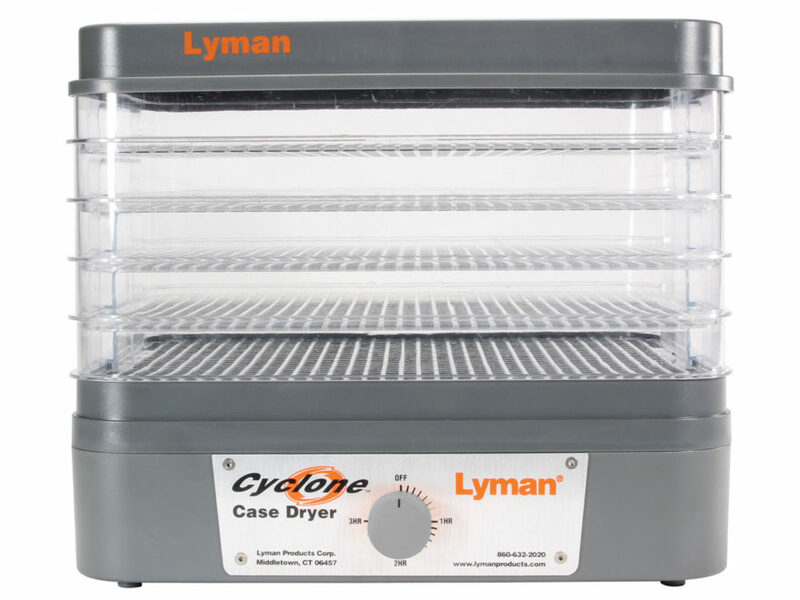 The Lyman Cyclone Case Dryer is the perfect companion to any Ultrasonic or Rotary cleaning system. No longer will it be necessary to have to wait days for your brass to air dry! The forced heated air circulation of the Cyclone will dry your brass inside and out within an hour or two, with no unsightly water spots. The individual trays can keep your different caliber cases separate. Additionally, the dryer can also be used for gun parts that have been ultrasonically cleaned.